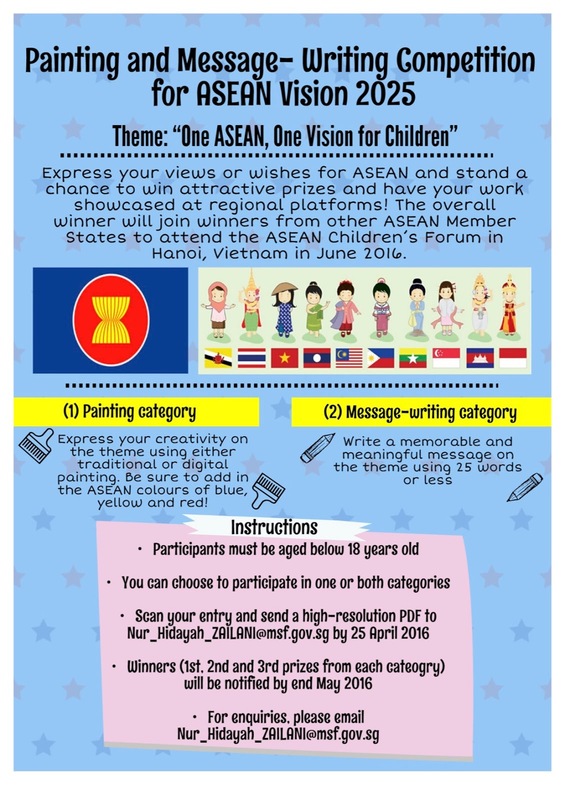 The Ministry of Social and Family Development is organising the competition, Painting and Message-Writing Competition for 4th ASEAN Children’s Forum (ACF). The ASEAN Children's Forum (ACF) is a regional platform for children to work together and express their opinions on issues and concerns affecting them and promote understanding of one another’s culture. The 2nd ACF was held in Singapore in 2012. 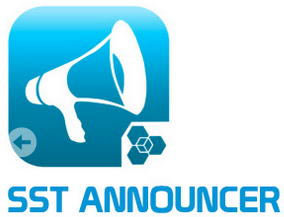 The 4th ACF will be held in Hanoi, Vietnam from 20 – 24 June 2016. As part of the Forum, the organisers request all ASEAN Member States to conduct national painting and message-writing competition for ASEAN Vision 2025, done by children and adolescents. Selected paintings and messages will be printed on related collaterals, large wall painting/poster exhibited during the forum and published in a book to be distributed to different levels of ASEAN meetings. The details can be found in the attached. You are encouraged to take part in the competition. Students can send their entries directly to the organiser. The top three winners of each category will win attractive prizes. The overall winner will be sponsored by the ACF organisers to attend the 4th ACF in Hanoi. The organiser looks forward to receiving entries from you by 25 April 2016. Please Click HERE to access the Guidelines for the "Painting and Message-Writing Competition" for ASEAN Children.